take advantage of adjustable shelving. use glasses/cups (or empty candle holders) to store small items neatly. 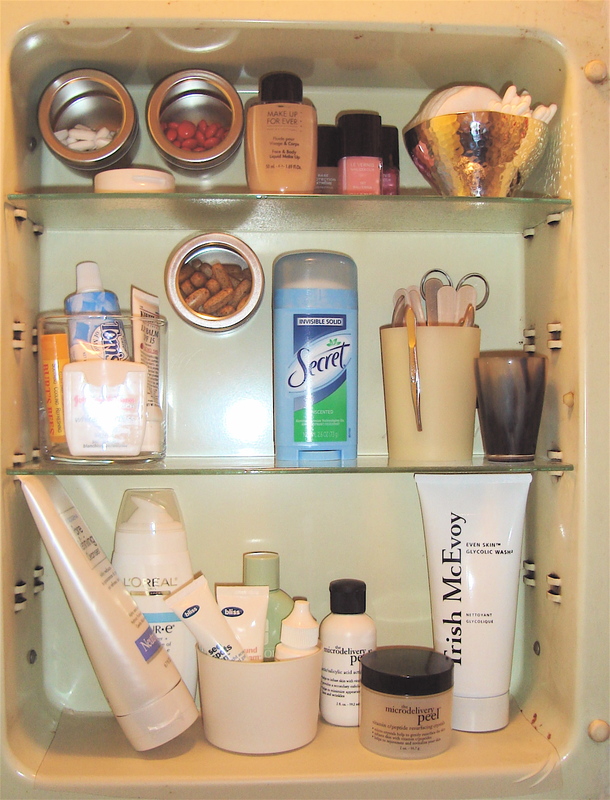 use acrylic risers to make extra room in your medicine cabinet. 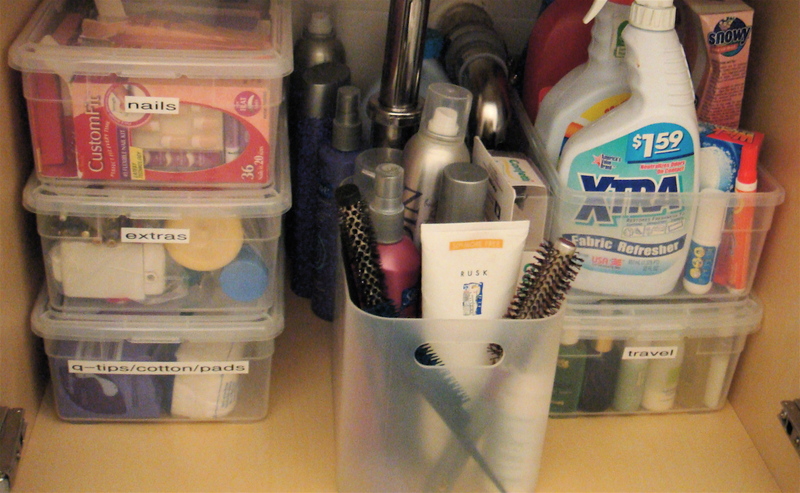 keep less often used and extra items under the sink in stackable containers, most of my clients love these since they are cheap and see-through. avoid buying things in bulk that take a long time to use, they take up too much valuable space and you’ll feel like you live at Costco.